Pre-wired for your convenience, our weather resistant, 8-amp, 5-stage, PWM charge controller comes ready to plug-n-play. This controller is compatible with gel, AGM, wet, and calcium batteries. It protects your battery from overcharging, prevents power from surging back into your panel, and its LED display lights let you monitor available energy. 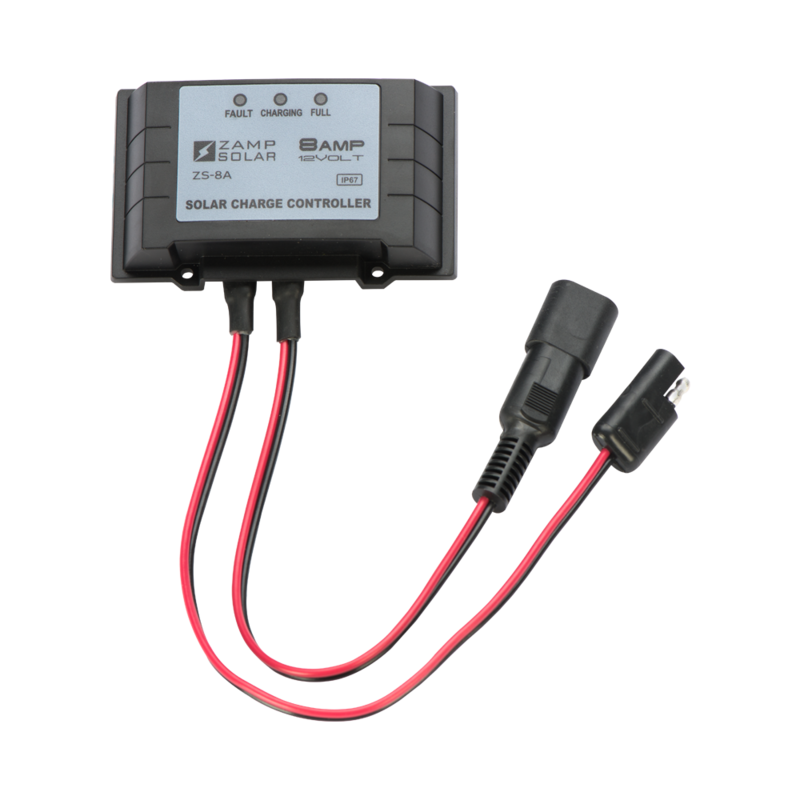 One end of its Zamp Solar SAE port plugs into your 10-Watt or 20-Watt panel while the other plugs into the connector cable that works for your needs.